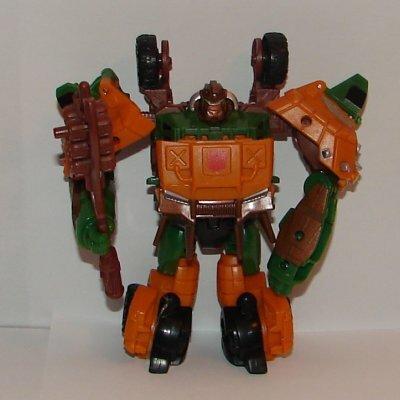 Vehicle Mode: Bulkhead is a remold of the original Cyberverse Commander Bulkhead. I love the colors, which are and homage to G1 Roadbuster. Robot Mode: His head has been remolded with horns that slope downward. 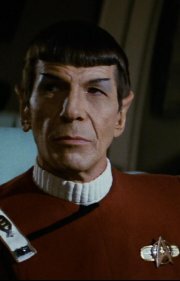 I’m curious to see if he has horns in the cartoon. I am seriously disappointed with his weapon. 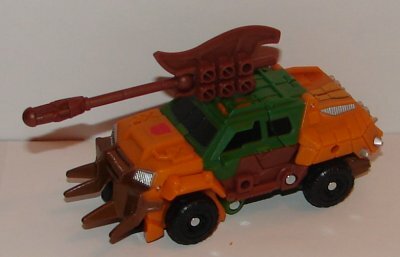 It’s fine in vehicle mode as a missile launcher, but in robot mode it is supposed to be a battle axe. The problem is that the missile becomes the handle and it’s not held securely by the launcher. This means that when Bulkhead is holding the handle, the axe head swings back and forth. It’s a major design flaw, and one that would seem to have been easily corrected. 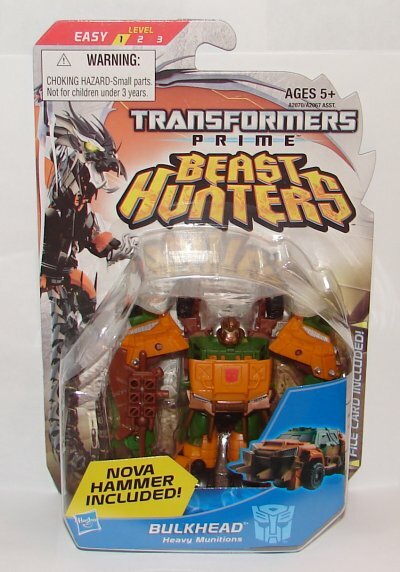 This entry was posted in Toy Reviews, Toys, Transformers and tagged Beast Hunters, Bulkhead, Commander, Cyberverse, Toys, Transformers, Transformers: Prime. Bookmark the permalink.